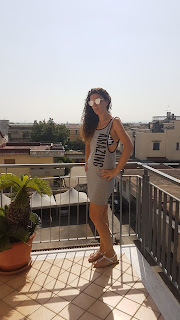 Un vestitino copricostume in jersey grigio chiaro con scritta laterale Amazing nera con bretelle e profonde scollature dietro e sui lati che lascia intravedere il costume sotto. How to be stylish ladies even at the beach? Have you already chosen your new costume? Then it's time to complete it with the right accessories! With the coveralls you find on Zaful you will be full of style and sensuality. They are a bit transparent and let you glimpse your shapes. But they also cover you with softness and are comfortable to go to the beach or for a walk. 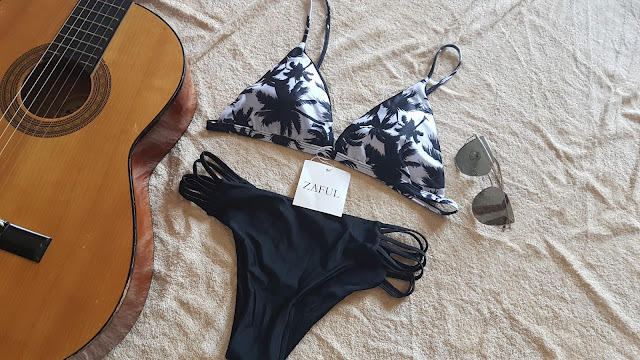 On Zaful there are so many original ideas that are waiting for you .... I'll show you my proposal .... A light gray jersey dress with amazing side strap with braces and deep necklines behind and on the sides that lets you glimpse the costume under. Lovely post dear! Have a great weekend! Bellissimi i tuoi acquisti, mi piacciono molto. Ottima scelta!